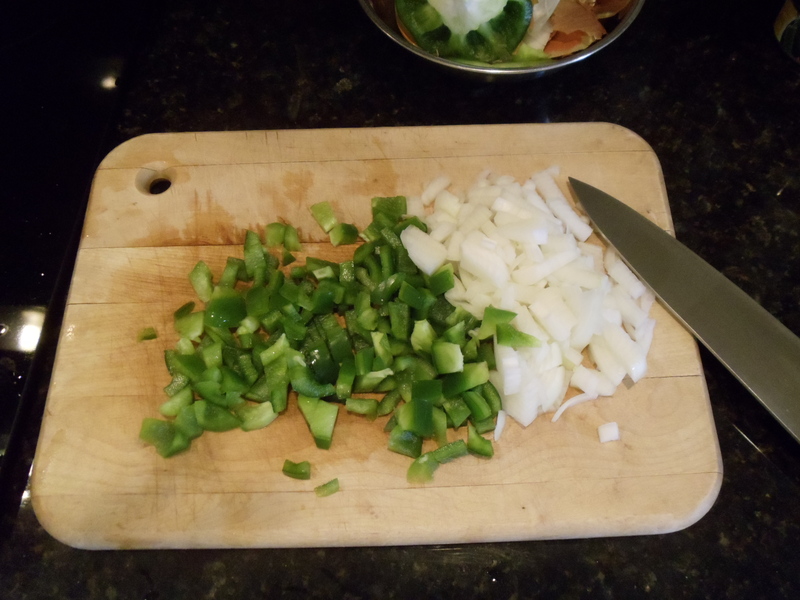 Chop a fresh green pepper and your favorite variety of onion. 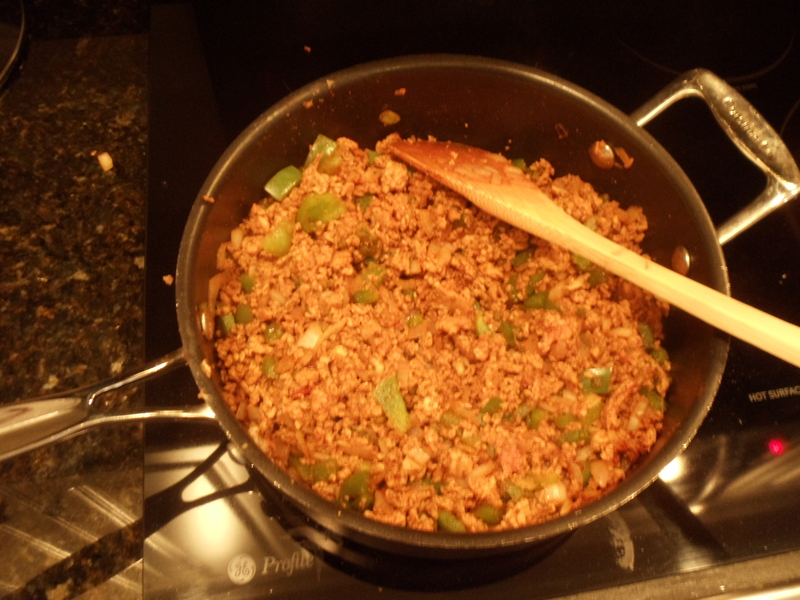 Plop ‘em in a pan with about a pound of ground turkey and all the spices. Brown. 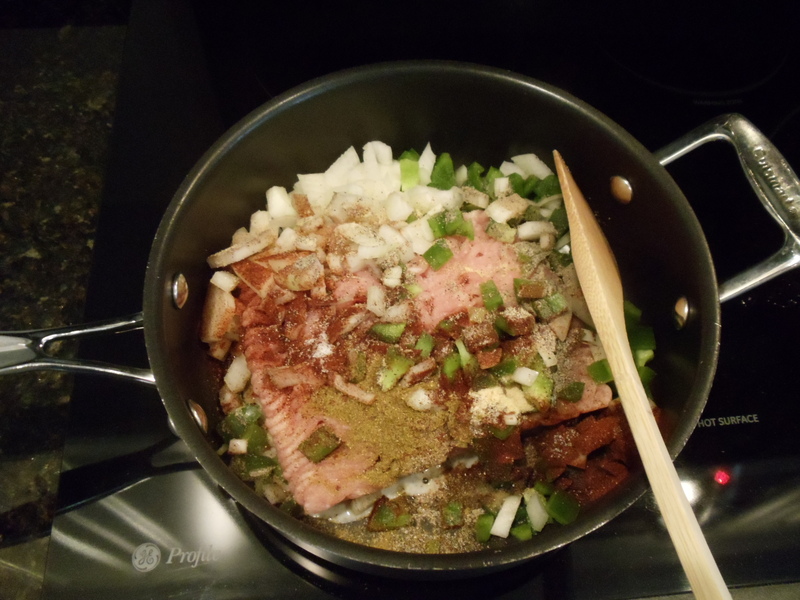 As you can see, ground turkey doesn’t really get “brown,” but the spices add some color. 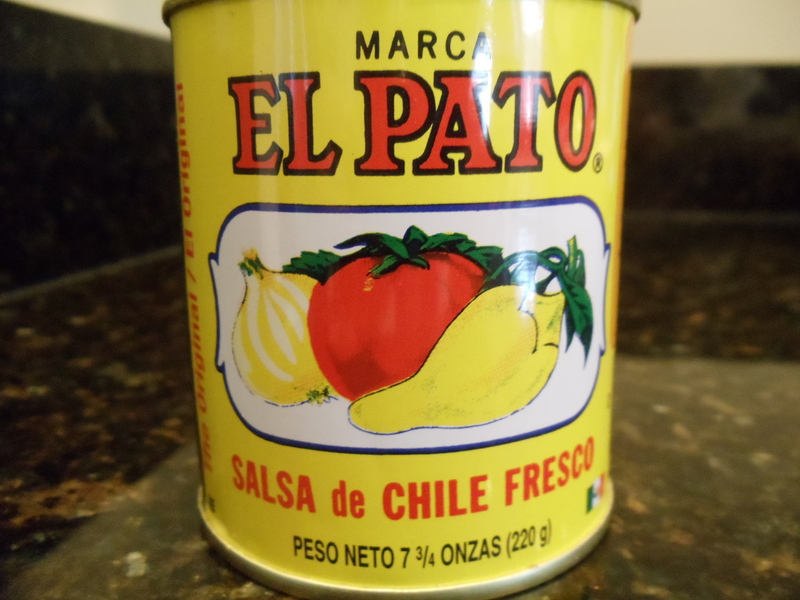 This sauce may be available in your grocer’s ethnic foods aisle, but if it’s not, check your local Mexican tienda. (Yes, there probably is one in your town. Find out. This ingredient is worth it.) Much of the chili’s flavor/heat comes from this sauce. If you are a heat wimp, substitute a small can of regular tomato sauce. Mix it all up. Now – and this is important – taste it. You may want to adjust the spices at this point. Play around with it a bit. Cooking should be fun! 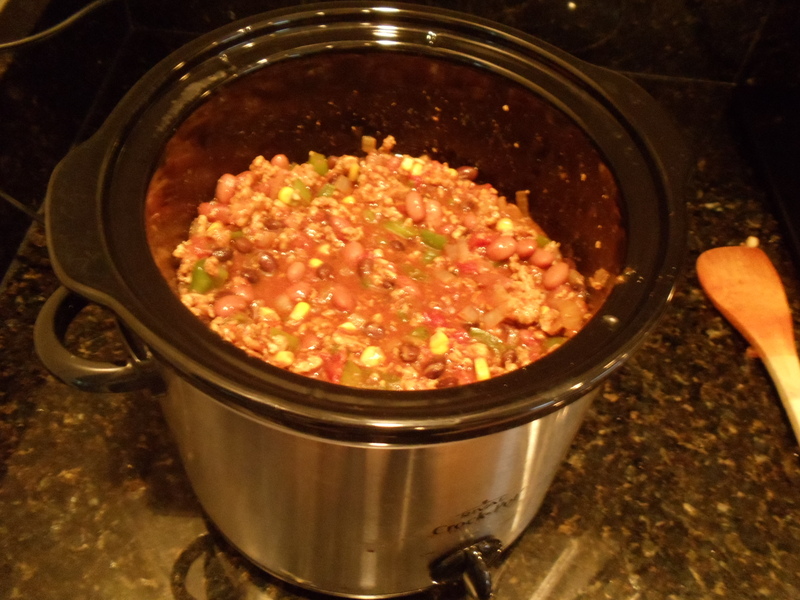 Once you’ve gotten the chili to suit your taste, cover it up and let it simmer aaaaaaall afternoon. 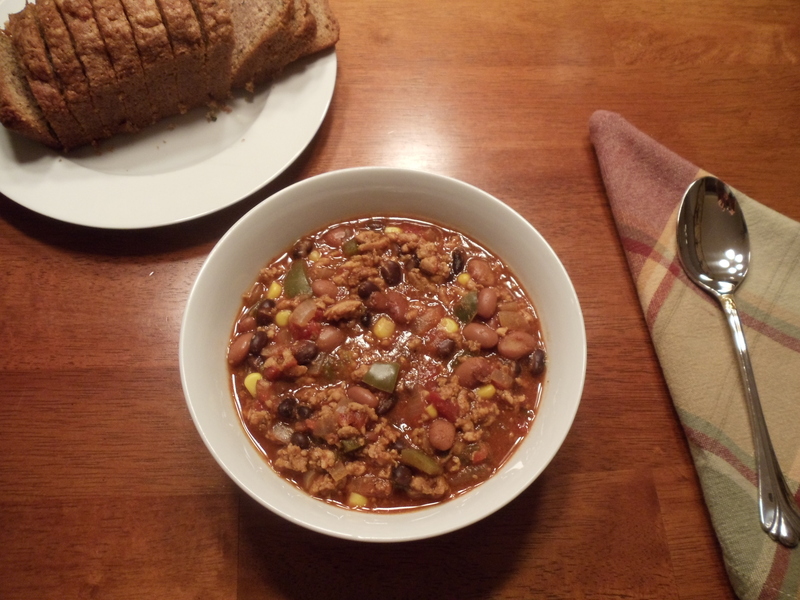 The flavors will blend into a hot, steaming bowl of yumminess. Serve with your favorite bread (a sweet-type bread plays off the spice well) and, more importantly, a box of Kleenex. Put equal parts white sugar, brown sugar and water in a microwave-safe bowl or glass measuring cup. (A touch of maple flavoring is optional.) Nuke until it looks like syrup. Serve warm. It will keep in the fridge for a loooooooong time. That’s it. The end. This syrup is fabulous on the Sweet Potato Buttermilk Pancakes below. Try it! Previously posted recipes: Sweet Potato Buttermilk Pancakes. They look great! Bet they taste great too. Will have to try them.